See Homes For Sale in Country Village Howell. Country Village is a community of townhouses. It’s located in the northern section of Howell. Built in 1995 – 1996, there are 151 homes. The homes have either two or three bedrooms with 2.5 baths. Also, some of the homes have a 1 car garage. Six different models are available in Country Village Howell. Homes range in size from 1360 square feet * to 1886* square feet of living space. One thing that makes Country Village Howell unique is that it is one of the few condo communities that allow a small fenced in back yard. In other words, this is a pet friendly community. The homes in Country Village are FHA Financing approved, as a result, you can purchase those homes with a low down payment. The monthly association fee includes exterior maintenance of the building, common area maintenance, landscaping and snow removal, There is also a playground, but sorry – there is not a pool. When children enter grades kindergarten through eighth they will attend the Howell Township schools. In fact, there are five primary schools, five elementary schools and two middle schools. When students enter high school they will go to one of the schools in the Freehold Regional High School District. There are six schools in the Freehold Regional High School District. The district offers talented ninth graders the opportunity to apply to our twelve prestigious magnet programs. These programs are designed to let students pursue their dreams in specific curriculums. The ninth grade students who are accepted into one of the magnet programs will be full time students at the program’s home school for their four year career in high school. In addition, another option for high school students is to attend the Monmouth County Vocational School District. Specialized courses are available in fields such as computer science, and biotechnology. Also courses in the medical and science fields are available, among others. 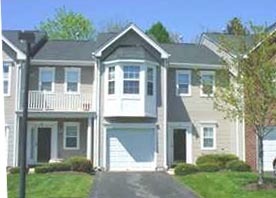 Call 732-598-7700 to see the Country Village Howell Condos For Sale.